There was more man candy to be had on the red carpet at the GQ Men of the Year party held at the Chateau Marmont in California last night. 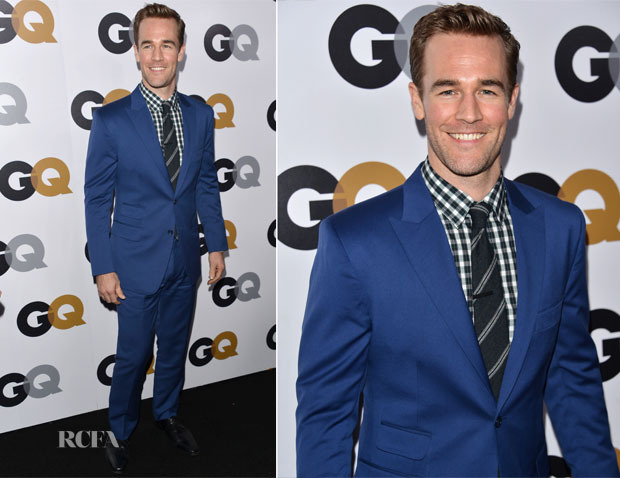 James Van Der Beek looked very handsome in a custom royal-blue suit by Knot Standard for Confederacy BTQ. I adore the colour and the checked shirt when it would’ve been safer to opt for white. A black and white tie and black shoes completed his very dapper look.